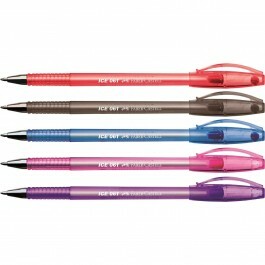 Gel Ink Pens There are 4 products. 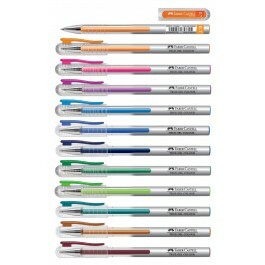 Type - Ballpoint pen / Child proof cover / Barcoded Use - Writing instrument Features - Clear barrel, Metal nib, Medium point (0.7mm) Available Colours - Orange, Pink, Violet, Light Blue, Soft Blue, Midnight Blue, Green, Light Green, Sea Green, Soft Brown & Dark Brown. 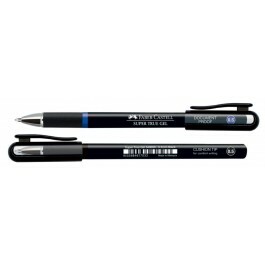 Type - Ballpoint pen / Child proof cover / Barcoded Use - Writing instrument Features - Metal nib, 0.5 / 0.7 point Available Colours - Blue & Black.